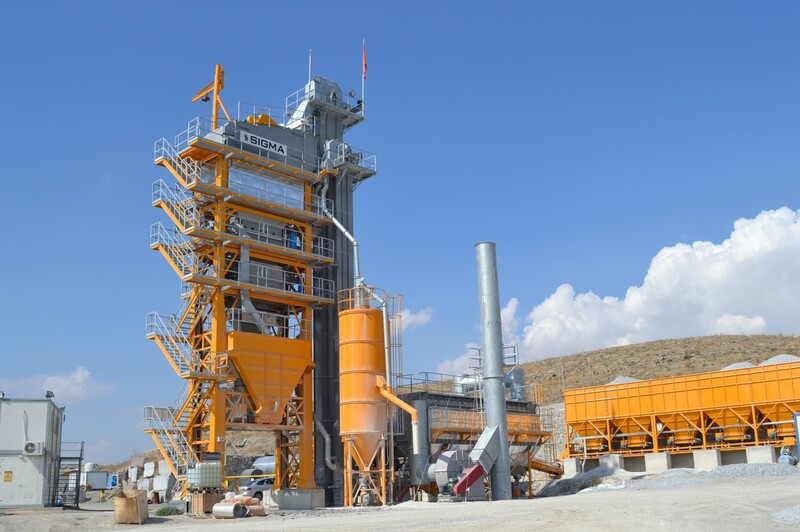 Kartal Yol Yapı, one of the distinguished Turkish road construction companies, selected 240 t/h capacity PRIMA SGM 240 model SIGMA asphalt plant for the road project they contracted around Aksehir-Yunak. After the completion of installation and test runs, the plant was commissioned successfully in July, 2015. Being fully computer controlled, the burner of the plant is dual type what can use both heavy oil and gas. As all SIGMA burners, it is monobloc type, where fan, silencer and burner are all integrated on a single frame. The plant is also equipped with two 50m3 horizontal bitumen tanks and a 1.000.000 kcal/h capacity thermal oil heater.